Go through the scenarios below, decide which one describes your situation best, and read what you need to do to fix it and get hired! 2. You’re not customizing your cover letter or submission email. Pick one or two things that caught your eye about the company and made you excited to apply. Relate your own skills to that and talk about how you can help them. 3. You’re not applying for enough jobs. You can’t find a job by just applying for a few minutes each day. I have friends who are desperate to find a job and then tell me they’re sending out less than five applications per week. Not enough. Not even close. You can check out this case study if you want a great method to apply for jobs quickly and easily online. 4. If you’re applying for jobs in a new state or city, make sure you’re putting the right thing on your resume. Otherwise you might be scaring companies off. 5. If you have a big gap in employment, you need to address it. Write them a cover letter or note explaining the situation. It’s a lot better than not saying anything at all. You might even be able to explain it right on your resume. If you’re getting invited for phone interviews, your resume is probably okay. But if you’re not getting past those interviews, what you’re doing and saying on the first interview is the reason you can’t find a job. I recently created a job interview “cheat sheet” with the exact steps I recommend following to get ready for your interview. If you want the exact steps to follow, you can get the full details here. 1. Pick something specific that you’re targeting in your job search, and figure out how it relates to this company. Companies want to make sure you’ve thought about your job search and know what you’re looking for. 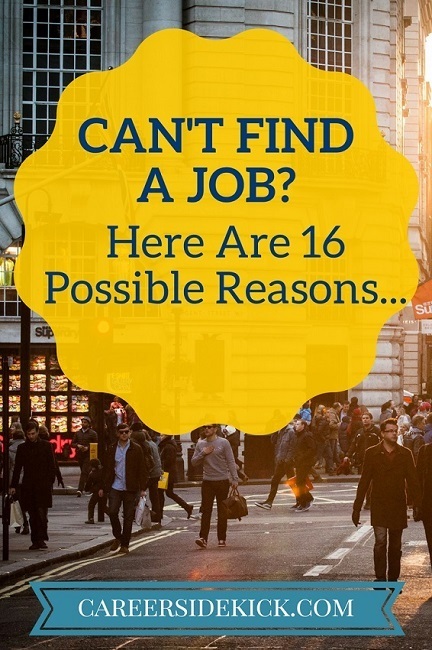 Now you have a great answer if they ask “why do you want to work here?” As a recruiter I see a lot of people fail to do this in the interview, and it’s a big reason they can’t find a job quickly or easily. 2. Do some research and know what the company does, how they make money, when they were founded, etc. This will help you with the initial questions they usually ask… like “what do you know about us?” You’ll seem way more prepared overall. 3. If you were fired or laid off, prepare to explain that. A weak explanation might be a deal-breaker. (and don’t ever blame coworkers or past employers, just be accountable and show what you’ve learned from the experience, and that you’re ready for your next challenge). Good question but the answer is No. They want to see how YOU explain it. And they want to hear the things that can’t be found on the resume, like why you moved from company to company. Or what made you decide to start working in this area. So, tighten the story up and make sure it’s succinct. 5. If it’s not anything above stopping you, it’s how you’re describing your qualifications- past work, experience, education, etc. Be clear and specific about what you’ve done in the past. Have numbers, stories and examples to share and sound excited about it! And any time you can show advancement (like receiving a promotion), do it. 1. You’re not tailoring your answers enough. To get hired for competitive jobs, being impressive in general isn’t enough. You really need to look at the job description, and think about how your skills fit into THEIR NEEDS. This is what the company cares most about. So when they’re asking about your skills, try to present it as how you can help them, or how you can solve their problems. 2. You’re not asking good questions. Make sure you’re asking at least one or two questions to each person you interview with. Not asking questions in the interview is a dead giveaway that you either don’t care very much, or are willing to take any job you get because you’re desperate. Here are 105 good questions to ask in the interview. 3. You’re not showing interest and following up. Companies want someone who is excited to work for them and interested in the opportunity. This means you should be sending “Thank You” notes after each interview, and interview follow up emails if they don’t update you with feedback in the time period they said. You spend hours applying for jobs, going on interviews, etc. Don’t skip a five minute step that could be the difference in whether you get hired or not. 4. References. Companies don’t check references until they’re pretty sure they want to hire you. If you’re getting to this point and not getting hired, the references you’re providing may be why you can’t find a job. A lot of people give references without ever finding out what they’re going to say. I’ve gotten on the phone to check references and had them say “I wouldn’t hire that person again”. So don’t just ask people if they’ll be a reference for you… ask if they’re comfortable being a POSITIVE reference. 6. Keep going, it may just be bad luck. Good companies get a lot of applicants. It’s possible you did everything right, got to the end of the process with a few other candidates, and the company had to make a tough choice and went with someone else. The good news is that if you made it through multiple interviews, you did almost everything correctly and you’re very close to getting hired! 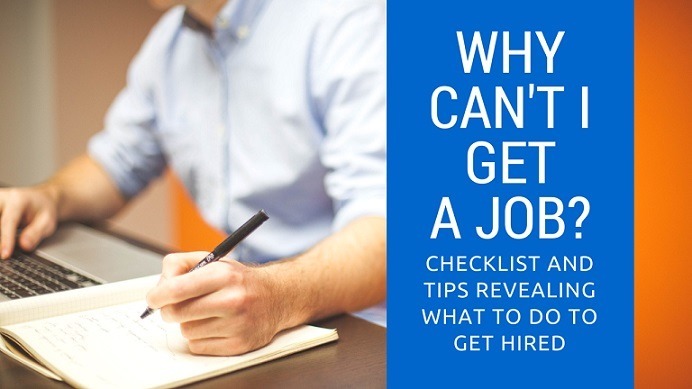 If you follow these steps to figure out where your job search is stalling or going wrong, and then take the recommend steps to fix the problems, you will be much more likely to find a job. I’m not saying this is easy, and if you found this page, you’re probably pretty frustrated and feel like you’ve tried a lot already. But you CAN improve. Every job seeker can find something on this page to improve. So if you can’t find a job, bookmark this page and use it as a reference to adjust and improve until you do find a job. And if you have interviews coming up and don’t want to leave anything to chance, I recently created a job interview preparation “cheat sheet” where you can copy my exact step-by-step method for getting job offers. If this sounds interesting, you can get your copy here.